More than 50 businesses have received support at a Business Growth Surgery jointly organised by Redcar and Cleveland Borough Council and Tees Valley Business Compass. Companies attending the free surgery received support from the organisers alongside 12 partner organisations, including BE Group, Business Enterprise Fund (BEF), Department of International Trade (DIT), Enterprise Made Simple, LMR Recruitment and Training, LEADER, Materials Processing Institute (MPI), North East Process Industry Cluster (NEPIC), Redcar & Cleveland College, TEDCO, Teesside University and UK Steel Enterprise. Companies received guidance on areas including funding opportunities, finance, technology, coaching and mentoring, apprenticeships and skills training, winning business in the public sector, supply chain development, and exporting. Tees Valley Business Compass is the local growth hub and is supporting thousands of businesses, using an investment of more than £9.5m from the European Regional Development Fund (ERDF) secured by Tees Valley Combined Authority. 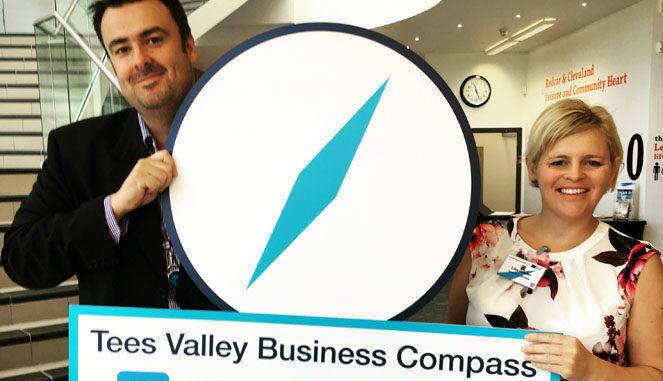 The Business Growth Surgery was one of Tees Valley Business Compass’ ongoing programme of events, which includes the Tees Valley Business Summit. Shak Asghar, growth service manager of Tees Valley Business Compass, said: “We are delighted to have seen so many businesses from the Redcar and Cleveland area take advantage of the Business Growth Surgery. “When someone is running their own business it can seem like a distraction to take time out and get expert advice on growth and related issues, but it can be an extremely worthwhile thing to do.